President-Elect Donald Trump sent Kanye West a signed copy of his TIME front cover. 2. 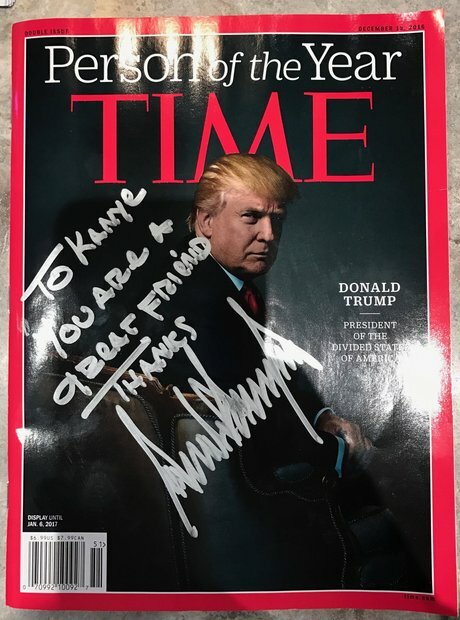 President-Elect Donald Trump sent Kanye West a signed copy of his TIME front cover.